Mark possesses a combined 35 years experience in the construction industry. From underground, to highway, to electrical construction, Mark moved through management to ownership. Mark earned his Bachelor of Science in English from the University of Wisconsin-Whitewater, and continued on to earn his Masters of Business from Cardinal Stritch College in 1984. He was chosen as Small Businessman of the year in 1995 for the State of Wisconsin receiving recognition from the Governor of Wisconsin as an exemplary businessman. As President of CFE, he leads the senior management team in strategic planning with a focus on organizational development to position CFE for long term success. Mark stays involved with every major project to monitor its progress with the Project Managers to insure customer satisfaction and profitability for Central Florida Electric. Mark also holds a Florida State Certified General Contractors license (CGC1512585). He uses his extensive knowledge and hands on approach to management to develop innovative solutions to today’s challenges in the construction industry. Tyler began his career in the electrical field as an apprentice in 2004. He later graduated from the University of Florida with a Bachelor of Science degree in Electrical Engineering. He is a registered Professional Engineer in the State of Florida (PE 80340). Tyler also holds Master Electrical Licenses with the State of Florida (EC13004690), State of Georgia (EN216897), State of Mississippi (#18934-MC) and the State of Alabama (#04189). In 2016 Tyler took over the role of Vice President of Construction; where his collaborative approach and injection of new ideas help to elevate and refine the production aspects of Central Florida Electric. In this role he has overseen a wide range of successful electrical projects for the company including medical, institutional, hazardous installations, parking garages, assisted living/memory care, student housing to large multifamily installations. 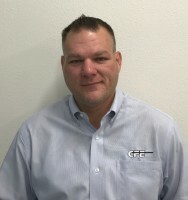 Additionally Mr. Schlichter serves as the safety director at CFE, holding an OSHA 30 certification as well as competency in scaffolding erection and numerous lift and boom certifications. Jane jump started her career after earning a Bachelor of Science Degree in Mathematics from Rockford College in 1981. She has over 15 years of experience as a Project Manager developing and implementing Order Management, Accounts Receivable and Warehouse Systems for the electronic controls industry. At CFE Jane is responsible for fiscal management, drawing on her immeasurable organizational skills to make sure that CFE runs smoothly. Rikki started her career in 1999 in the field as a residential and service technician. Discovering a passion for electrical construction, she enrolled in the FEA Apprenticeship Program in 2001. Rising to the challenge, Rikki became a residential foreman within a few short years. Operating crews of varying sizes , she led a team wiring luxury homes in subdivisions such as Golden Ocala and Bellechase. She later earned her Journeyman's License in 2004 and the following year became only the second female to graduate from the FEA Apprenticeship Program. Expanding on her hands-on knowledge of electrical construction, she also has experience working as a residential estimator. Furthering her education, Rikki earned her Bachelor of Science Degree in Business Administration from the College of Central Florida in 2015. 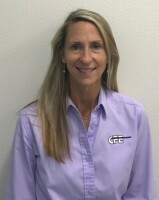 Mrs. Hambidge has been a fundamental part of CFE since 2009 as the office manager and in June of 2013, her role was further expanded as she also took on the position of Service Manager. 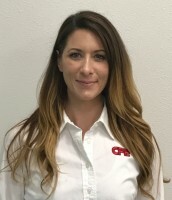 She now utilizes her multidimensional talents in the electrical field to ensure that all of CFE's internal operations are functioning efficiently, as well as meeting our customer's service needs. 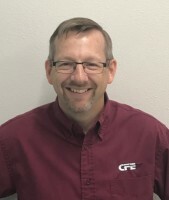 With over 20 years of construction experience in such varied areas as electrical, plumbing, concrete, framing, roofing and carpentry, Rodney brings a wealth of knowledge and experience to CFE. His unique understanding of the project as a whole benefits both CFE and our customers in his project management and estimating tasks. Rodney began his career as an Aircraft Maintenance Specialist with the US Air Force. Since then he has worked in the construction industry starting as a general construction laborer and attained more responsibility as his skills increased. 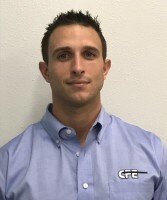 In 2007, he joined the CFE team as an electrical apprentice. Shortly thereafter, he secured his place as a Journeyman electrician and he began to run work on the field level. In 2010 Rodney moved from field level management to estimating and then to project manager where he now manages multiple projects. He also holds a Master Electrical License (EC13004691) in the State of Florida and is proficient on many types of equipment. In addition to this, Rodney is currently learning to become adept in CAD. His electrical work experience encompasses restaurant, assisted living, hospital, school and industrial environments. Rodney is energetic, innovative, disciplined, and has a strong desire to learn. These coupled with a strong work ethic make him a solid part of CFE's Project Management and Estimating team. Eric graduated from Belleview High School in 1997 and began his career in the electrical trade as an apprentice in the New York City IBEW-local #3, immersing himself in all aspects from manufacturing/industrial to residential and commercial electrical. Eric quickly rose through the ranks becoming a field superintendent within a few short years and later earning his Journeyman license in the State of Florida (OC8978). With nearly 20 years of electrical experience and knowledge to draw from Mr. Millemon has personally overseen the construction and direction of a wide variety of projects ranging from national chains to institutional and governmental buildings. He has particularly strong experience in assisted living and large multifamily projects as well as student housing. Eric’s continued desire and ability to motivate himself and others led to a promotion in 2015 bringing him onboard as the newest member of the Project Management and Design Team here at Central Florida Electric of Ocala. Mr. Parker brings more than 30 years of professional experience in the commercial electrical field with specialties in healthcare, government, education and industrial realms. Chris is a native floridian and lives in Ocala with his wife, Lisa. He enjoys hunting, fishing and Gator Football. With 20 years of estimating experience Chris is knowledgable in many aspects of the Florida Building Code, ACHA, NEC, and brings valuable experience in design build projects. 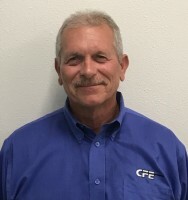 Mr. Parker started in the electrical field at 18 and worked his way through the field, proving himself as a competent foreman working for numerous electrical companies before joining the CFE team. His infusion of industry experience continues to build upon the integrated, and preplanned approach CFE is known for. Chris holds OSHA 30 certification and ICRA certification.